For those of you who like adventure activities, then Mount Batur is the perfect choice. 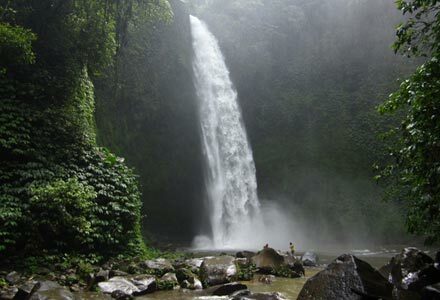 Imagine, This tourist attraction located in Kintamani Bali offers a truly amazing view of nature. The caldera of Batur volano is located in the Kintamani district, Bangli regency, Bali island at an altitude of 1000 – 2172 m above sea level. The area has cool weather with average temperatures between 15-21 C. The highlighted attractions here is the crater, caldera and Lake Batur. If you climb to the top of Batur mountain, the scenery at the crater is very beautiful. This Bali volcano has three volcanic cones with each crater, which Batur I, Batur II and III. Located in the northwest of Mount Agung, the mountain has 13.8 x 10 km caldera and is one of the largest and most beautiful caldera in the world. There are two caldera of Mount Batur, namely ‘outside caldera’ and the ‘inside caldera’. The height of the wall of the outside caldera is between 1267 – 2152 m, oval shaped with 13.8 x 10 km dimensions. 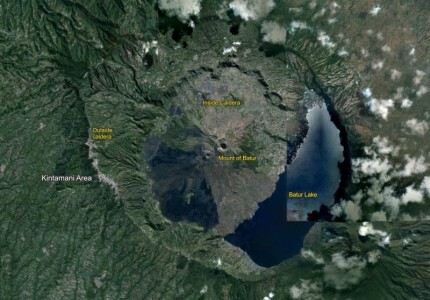 While the inside caldera is almost like a circle with diameter of 7 km, located between 120-300 m lower than the railroad of Kintamani. This Bali volcano has erupted many times. 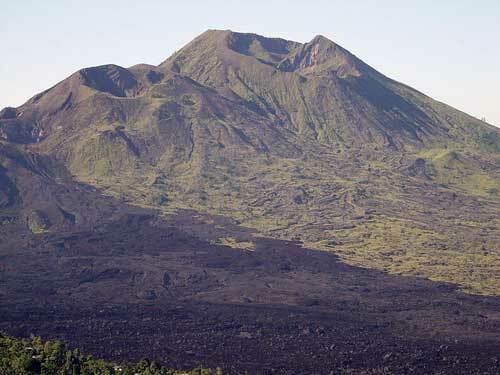 Activities of the eruption of Mount Batur began in 1804 and the last is at year 2000. From 1804 to 2005, Mount Batur has erupted more than 26 times and the biggest happen on August 2 and ended at 21 September 1926. The beautiful scenery decorated with black lava from the eruption of Mount Batur in 1917 has become an attraction for domestic and foreign tourists. The story in Lontar Susana Bali said if Gunung Batur is the peak of Mount Semeru in Java Island who moved by Batara Pasupati to be the Sthana (throne) of Betari Danuh. At certain time, all Hindus from various regions in Bali came to deliver the Suwinih (offerings) to Batur. This ceremony is used to repel pests disaster that may attack peoples fields. They believe by delivering the suwinih, the region around Batur volcano should become a fertile area. Batur Lake located approximately 2 hours from kuta beach. It’s the largest lake in Bali around 16 sqkm and the maximum depth is 60 m. visitors can use travel agent service to get into the location because common transportation is rare and the way to get in it is quite steep and difficult. 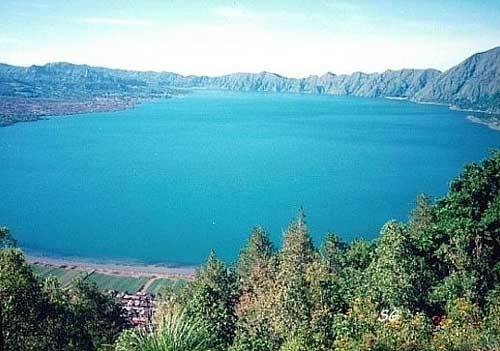 Batur Lake formed as a caldera of Batur Lake which exploded thousand of years ago. The surrounding areas are cool, fertile farming lands. The water supports much for farming and irrigation for surrounding areas. The changing water color phenomena once happened in Batur Lake. In 2007, the water changed into blue or clear, into brown or green. In 2008, the water changed into foamy one. The cause of it is still in investigation. It predicted to be polluted by poisonous substance from Batur Lake or because the existence of water plants in the lake’s bottom. Beside those phenomena, Batur Lake is full of history and mythologiy. It is said, the lake was formed from a person named Wirabuana which had a fight with Demang Lindungan. Wirabuana embed his spear and after he pulled it out, much water came out from the earth and formed a lake. Wirabuana won the fight and got his true love. Batur Lake forms a crescent moon with blue color in its normal condition. The weather is cool at day time but cold at evening, around 23 degree celcius. 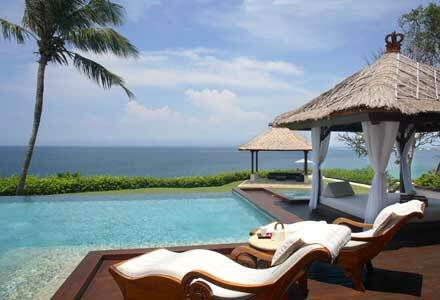 It’s different with the other tourism places in Bali which commonly felt hot. That is why, it is strongly recommended for those who want to feel a different situation. 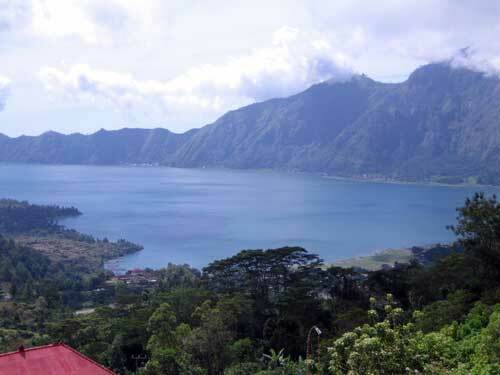 The cool air of Batur Lake happens cause its included in mountain area with 1 km height above sea level. 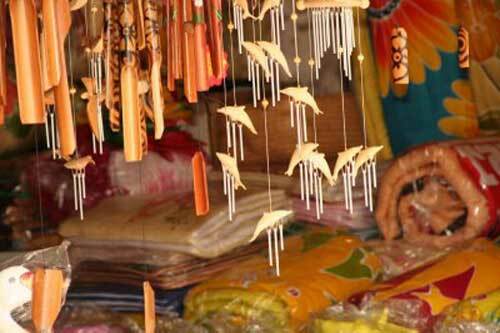 The biggest village situated on the edge of Lake Batur is the village of Toya Bungkah. Toya Bungkah is the starting point for tourists who will climb to the top Batur Mount. The village also has several hot springs are channeled into a public bathing pool. Surrounding communities believe that the hot springs are able to cure various skin diseases. The facilities around Mount and Lake of Batur are also quite adequate. Many affordable Bali hotels or the luxurious one can be found in this area, specially in Kintamani Bali area, along with restaurants and cafes, Ayu Kintamani Villa may the best of them. Visitor can also surround and explore Batur Lake by foot or bike while enjoying the natural view.